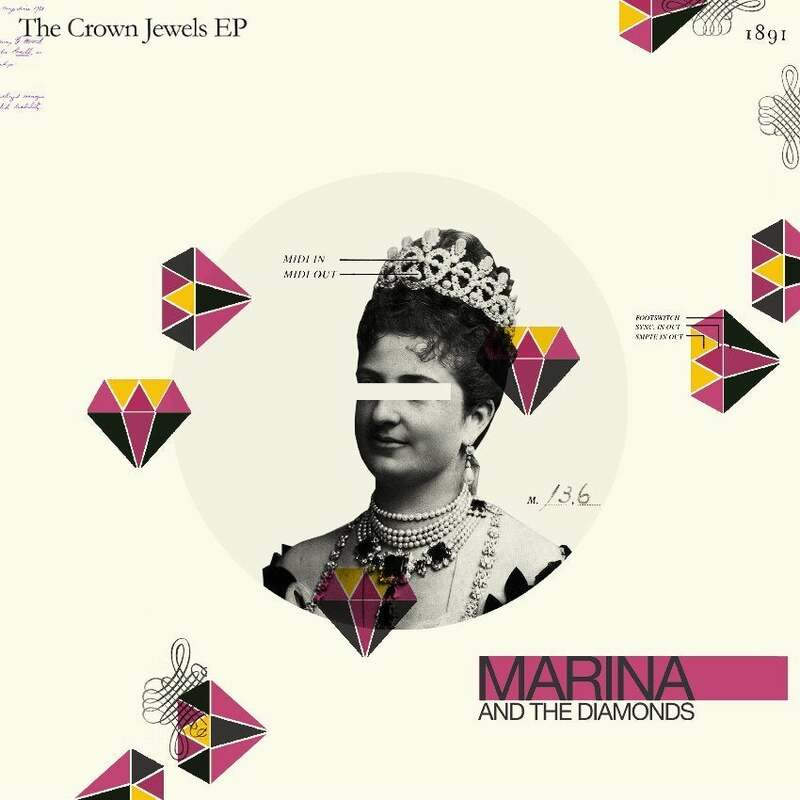 Undiscovered ’til now: Marina and the Diamonds. | Pulp and Circumstance, Juiced. Undiscovered ’til now: Marina and the Diamonds. P&C has been addicted to the delicious vocals of a one Marina and her Diamonds for quite awhile now, particularly thanks to an introduction to her tunes via a number of avenues, one of them blogger extraordinaire Nialler9. That being said, her music is a a smash–and that can’t be further from the truth in regards to her latest single, “I am Not a Robot”, which has an equally impressive video to boot. Marina is all pop goodness; oft argued to sit middle of the road to La Roux and Little Boots, if you are intrigued by either of the aforementioned, you’re sure to appreciate this little gem. While I’m never a fan of the comparison; still, at least, all three represent some seriously powerful songwriting, an ever growing presence of pop musical prowess for the female set, so golf claps on that one. Her latest EP, The Crown Jewels (out on Neon Gold), won’t disappoint, really. The Welsh-born singer features new wave elements which crush with drum and bass, as well as keyboard inspired ballads that will make you weep and wish you were with her. So enjoy her latest one, and some other ones (off the Obsessions 7-incher), too. Gobble away…and wish you were covered in…diamonds. This entry was posted in jwolf and tagged marina and the diamonds, undiscovered til now. Bookmark the permalink. ← After a listen of this, there’s no need to run for your grave.